Never mind that father had forbidden it. Father was far away. Nine year old Titus was going sledding with a friend on a frozen pond. Out onto the ice he whizzed. It broke. Titus could not find the bottom and rose to the surface, screaming for help. His friend was too frightened to attempt a rescue. Every time Titus grabbed the edge of ice, another piece broke under his weight. It seemed he must die. But at last he found a sturdy patch and his partner crept close enough to give him a hand. Thousands, including Titus himself, would have perished eternally if he had drowned that day. 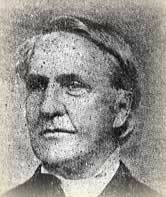 Eighteen years after his ice accident, Titus was converted in the religious movement known as the Second Great Awakening. A few years later, he sailed to Hawaii as a missionary, carrying the revival spirit with him. As soon as his tongue commanded the language, he declared his intention to visit every one of the 16,000 people on Hilo Island. Determined to conduct sound follow-up work and to pray intelligently, he made systematic notes on each person he met. In future tours, he would check up on each person and update his notes. Any ward boss in a city could do the same. But no ward boss has the power of God to transform lives. Wherever Titus went, men and women fell under conviction. The classic signs of revival followed. People cried out for mercy. Panting to hear more of God, they ran from meeting to meeting. They studied the word late into the night and then rose early the next day to seek God anew. Prayer services ran for hours. Friends led the blind and carried the lame to church so they wouldn't miss the opportunity of salvation. Hardened rogues bent their hearts to Christ. Hundreds and thousands turned from wicked deeds. In the two year period 1837-38, so many converts were added to Titus's church that it became the biggest single congregation in the world. By 1870 it had 13,000 members. No one was admitted to membership until he or she proved over a period of several months that their repentance was sincere. A check of the trusty notebooks told the story. Coan always hoped to "to die in the field with armor on, with weapons bright." That wish was granted. He suffered a stroke in the midst of a revival. On this day, December 1, 1882, he died praising God. He had seen 70% of Hilo's population turn to Jesus. Johnston, Julia H. Fifty Missionary Heroes Every Boy and Girl Should Know. London: S. W. Partridge, 1899. Source of the image. Is It Possible To Go Above Low Earth Orbit?